Jenny Simmons, author and Christian musician, shares a period of terrible struggles in her life. During one point, it seemed like one bad day might only lead to a worse day. Without the help of hospitable strangers, Jenny and family, would not have had clothes to put on their backs or a place to stay. In one incident, their RV explodes. At another time, Jenny finds her baby, Annie, bleeding from the ears and mouth. I often gasped over these disturbing events and felt for Ryan and Jenny and the team of musicians. 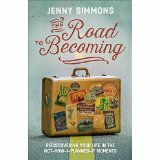 Then, through the simple but inspiring way Jenny Simmons references scripture in The Road To Becoming I felt myself fill up with hope and faith and the knowledge that God never leaves us, and His love for us is complete. They keep saying "the body" and Flora thinks this might make her scream and never stop. Speaking in whispers that are not quiet enough, as men do, they say it over and over. "We can't have the body simply lying in a room here." "If we put the bodyin the bathing pool, then it might appear to be a drowning." "But when they examine the body they'll find no water in the lungs." And so on. "When Madge arrived in Chicago, it was an unusually windless summer day, and she could not take her eyes off the bluest water she had ever seen. She believed she was seeing the ocean for the first time, but she had heard from a woman who had heard from another woman that the ocean stirred waves as tall as trees, and this broad..."
When life becomes too difficult for the younger generation, they form a group named The Gathering and Inner Circle. In these groups are young people who have been abused by family members or church clergy. Soon, there is a plan chosen to save themselves and other young people from abuse.This plan entails thirty letters being sent out to different states. On a set date a revolt will occur. This revolution will deeply involve a huge church which has congregations all over the world. Gavriel and Josh are the ones really in charge of this move to make a change in the world. Amanda and Jake Bannon are a married couple. They are ideal at thwarting disasters. 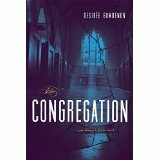 To help stop catastrophes, Amanda Bannon uses her psychic abilities. In this instance, all of these desperate and bloody take place between Rome and Chicago. Days of Awe have become a part of Izzy's life. Her life, at this time, definitely fits the Holy time of remorse and sorrow celebrated by the Jewish population. She and everyone in her family are deeply stirred by the death of Josie, a close friend of the family. Josie dies on an icy road in her car. She is a young and vibrant woman. I could feel her loss jump from the pages of the novel. 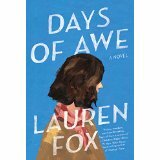 In Days Of Awe by Lauren Fox, Josie's death seems to cause a compound of calamities in each characters life. Everything seems to go through rapid change. With this one person's death, it seems like the world has begun to spin out of control. 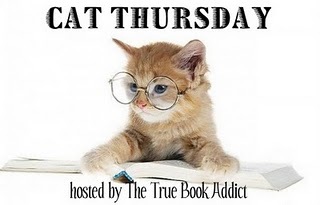 Usually, I love Historical fiction. So I looked forward to this one especially since it takes place in London. Weirdly enough I also like pickpockets. That's why I liked Lilah. It didn't matter that her sister, Fiona, died. I didn't think Fee and secretary school was a fit for the time and place. I liked Viscount Palmer. I enjoyed his love moves on Lilah. Still, the bantering dialogue didn't seem smooth to me. I especially liked reading about the beautiful items in the auction house and in Buckley Hall. I liked Cathy Everleigh as well. The stolen love letters and Lilah trying to match Palmer with Cathy Everleigh just fell apart for me. And again the dialogue just seemed jerky. http://bermudaonion.wordpress.com A medieval map of the world.oxforddictionaries.com/definition/english/mappemonde "We found a Flemish mappemonde that sent her into ecstasies. Why, a full hour passed before she found another reason to scold me." "Your name sounds like a poem! IZZZZabellll APPLEbaum!" She trilled it. "It's dactylic!" she whispered, and kissed me on the cheek with an actual mwaaah, then moved on to hug Chris, who looked like he was being asked for directions to Neptune. 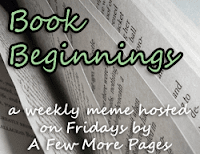 http://bookjourney.wordpress.com I finished Only with Blood by Therese Down. 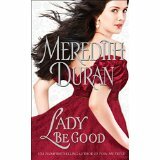 Now I'm reading Lady Be Good by Meredith Duran and Balm by Dolen Perkins-Valdez. "It was cold. Frost stopped the breath of the land, seized the breath of those who moved upon it. Winter would come early and it would be harsh. Jack Flynn thanked God for a good harvest, for the cows would need early hay. 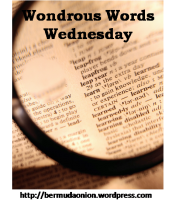 Lately, he felt more keenly the pain of rheumatism in his hands. This creeping infirmity and a cough which daily grew fiercer were insistent reminders to Flynn that he could no longer put off marriage if her were to have sons to inherit his land. The alternative of selling to strangers the land his great-grandfather had purchased over a hundred years before was unthinkable. And so, this evening in 1943 at the age of forty-three, though he would rather have faced any kind of physical test of his courage, he put on his only suit and set off on foot towards the village of Dunane and the house of Malachai Brett, the matchmaker." At my apartment, this has been the year of the marigolds. I bought two pots of yellow marigolds in the spring. One pot of them died. The second pot of marigolds is still doing well. Although I would like to have bigger blossoms. I have heard marigolds are easy to grow. So, I decided to look up a few tips about growing these flowers. http://homeguides.sfgate.com/care-french-marigolds-containers-68255.html Any pointers you might have would help. By the way, are marigolds perennials or annuals? Daisy Richards has beat cancer in the past. However, after a few years, the news from Doctor Sanderson is far more difficult for her and Jack to handle. This time the cancer has spread throughout Daisy's body. She has only four to six months to live. 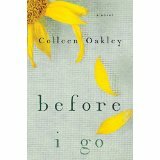 The novel before i go by Colleen Oakley is about how Daisy, Jack, her mother and her friends react to this news. It's also about what will Daisy choose to do with the remainder of her life? This novel will break your heart and mend it again. Daisy seems like a real person. Many times I thought, "Well, I would react the same way as Daisy in this situation." I thought this way when she bought bunches and bunches of groceries she didn't need. I could also understand when she became so terribly angry with Kayleigh, her friend. Horrible feelings about Kayleigh flew out of her mouth like birds taking flight. 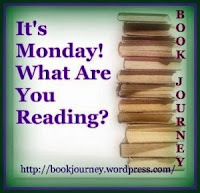 http://bookjourney.wordpress.com I finished Star Side of Bird Hill by Naomi Jackson. Now I'm reading before i go by Colleen Oakley. Next I need to read Only with Blood by Therese Down. Two sisters, Dionne and Phaedra, live with their mother, Avril, in Brooklyn, New York. Because of their mother's depression and her struggle to make a living as a single parent they are sent to live with their Grandmother in St. Johns, Barbados. Naomi Jackson in The Star Side Of Bird Hill writes in detail about what happens to two teen-age girls as they face death and violence.What happens is unexpected and at times, very sad. For example, while in Barbados, Dionne and Phaedra will hear the most horrible news about their mother. The way both sisters handle the situation is extraordinary. Maybe too extraordinary? Such news must work on the inner soul of a person for a long while. Then, the father, Errol, comes along with a new lady friend. He just ups the level of stress in the lives of the sisters and the grandmother. Sometimes people come to rescue the ones they love and end up almost destroying them. 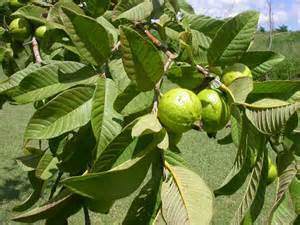 "The church hall doors remained open behind Clotel and Dionne; the sweet stink of the guava trees, which were planted when an ugly woman named Cutie died and left her small fortune to the church, wafted inside." After a great tragedy, Michael Hunter arrives in Hope Harbor, Oregon to remake his life. He meets Tracy, a cranberry farmer, Grace, a young woman with family problems, Anna, a recluse, and Tracy's Aunt Nancy among others in the town. The cranberry farm is suffering. Cranberry prices are down. At the same time, Tracy and other town people are facing very hard struggles in their personal lives. 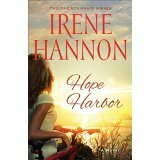 Irene Hannon's Hope Harbor shows that life is an adventure. God's plans aren't always the same as our plans. Michael thinks he's just going to deal with guilt over his wife's death, an aneurysm. However, he finds himself helping Tracy with manual labor on the cranberry farm. He also helps her to talk openly about her husband, Craig. Craig died a tragic death too. Then, there is another unexpected problem that arises. In this instance, a whole family is in turmoil.